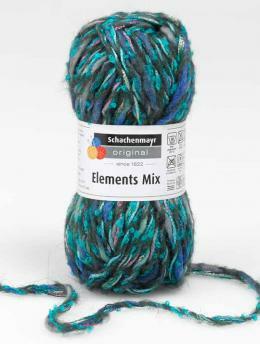 Schachenmayr Elements is a fun yarn mix, consisting of five different fiber components. Each of the components are made separately, then twisted together. The mixed fibers give a bright color effect range of eight different combinations that are perfect for accessories in a mix and match look, or for tassels, pompons or other accessory ornamentation.